Real Housewives of Beverly Hills star Kim Richards hit with criminal charges after drunken rampage at the Beverly Hills Hotel. 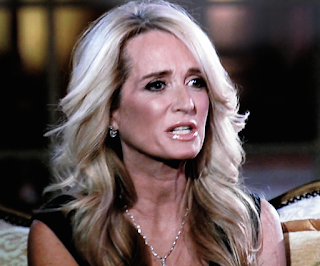 Kim Richards has been charged with multiple crimes for her alcohol-fueled meltdown at the Beverly Hills Hotel last month. The “Real Housewives of Beverly Hills” star has been charged with public intoxication, resisting arrest and battery on a cop, TMZ reports. Richards was arrested in the early hours of April 16 when security at the Beverly Hills Hotel ordered her to leave the premises for causing a disturbance. While being escorted out, the reality star asked to use the restroom. When Richards refused to come out, police arrived on the scene at 2 a.m. and arrested the celeb. She was belligerently drunk, slurring her words and cursing at officers as she “passively resisted arrest,” according to police. The 50-year-old’s battery charge was for an incident in which she kicked a cop in the leg when she was taken to jail.